Maynmar There are four major domestic airlines (Myanmar, Myanma Airways, Air Bagan, Yangon Airways and Air Mandalay) operate an extensive network of air service in the interior parts of Myanmar. With our well equipped ticketing staffs, we are always in the position of reserving and issuing the tickets to any of the domestic region of the country. Each airline operates different flight schedules depending on different seasons. To help you plan a comfortable holiday in Myanmar, we provide a hub of flight guide in our web site. The flight service features from the carrier information to one way and round trip air ticket to the major destinations of Myanmar and neighboring countries. You just browse though the sections below to get the flight suitable to your needs or contact us via live chat or telephone for instant support. Air Bagan the LOTUS in Myanmar culture symbolizes purity, and the promise of man to aim for the highest within himself. This logo, which will be a focal point of our Corporate Identity, communicates a synthesis of bold, modern entrepreneurial principles, our aim to be the best combined with Myanmar culture, which we believe will be a symbol of achievement for a new era. To contribute towards development of Tourism and Air Transport Industry in Myanmar, offering high quality Customer Service on every flight we operate, as well as produce a fair return on investments. Our current fleet consists of (2) Fokker 100 ,(2) ATR 72,(2) ATR 42 turbo-prop aircraft and (2) Airbus A 310. Yangon Airways was established in 1996, as a joint venture between Myanma Airways and Krong-Sombat Company of Thailand. In 1997, the MHE-Mayflower Company acquired the Krong-Sombat shares. Yangon Airways has become a principal domestic airline in Myanmar flying scheduled and charter flight services to 13 prime commercial and tourist destinations in Myanmar. The corporate policy of Yangon Airways is to take a progressive approach to provide the finest service possible, and to maintain our fleet to the highest standards of operational readiness, safety, and reliability. We believe that through better transportation, we contribute to the development of the economic and social well-being of our society. Air Mandalay is a schedule airline, based in Yangon . It operates flights to all major tourist destinations within Myanmar including Bagan, Mandalay , Heho and Ngapali Beach . Air Mandalay has schedule flights from Yangon to Chiang Mai. As an established domestic air line in Myanmar , Air Mandalay offers easy online reservations. Air Mandalay Limited, the first regional joint venture airline in Myanmar, was formed on October 6, 1994. The shareholders are the national carrier Myanma Airways, Air Mandalay Holdings Pte Ltd of Singapore and Premier Airlines Pte Ltd of Malaysia. We currently fly to all major destinations in Myanmar and to Chiang Mai in Thailand. Myanma Airways is the national airline of Myanmar, based in Yangon. It operates scheduled services to all major domestic destinations. Its main base is Yangon International Airport. The airline was founded by the government after independence in 1948 as Union of Burma Airways. It initially operated domestic services and international services were added in 1950. The name was changed to Burma Airways in December 1972, and to Myanma Airways on 1 April 1989 following the renaming of the country from Burma to Myanmar. 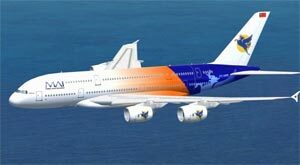 International services were transferred to Myanmar Airways International, set up in 1993. All Fare are inclusive of insurance surcharge USD 3 Per sector & Fuel Surcharge YR for Adult & Child Fare. Remarks: Fuel surcharge might change with prior notice.